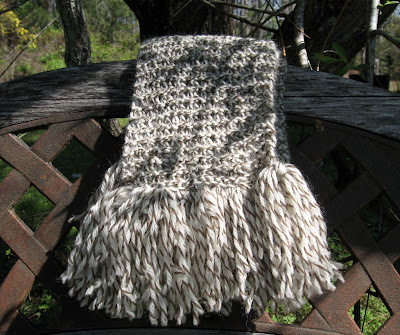 Hey Stacy, I am loving knitting your scarf pattern. 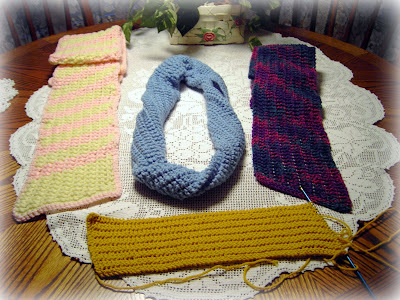 The only changes I made was to the size of the needles and the yarn is wool instead of bamboo. I am almost at the length I want and then I will block the scarf. Right now the pattern is tight as I seem to be a tight knitter, but once it's blocked I hope it will open up. Have a great weekend and remember the time change. All so pretty! Don't 'cha just love meeting new friends? Hope you all were out of the way of the waves today! Have a blessed evening, HUGS! Nice! 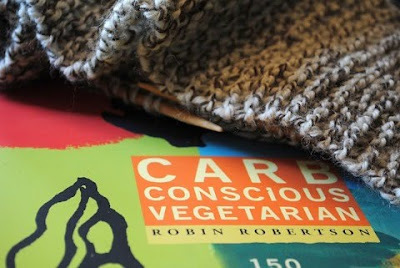 I love the scarf (or beginning of scarf) knit in fisherman's wool. That will be good and warm! Have a great weekend, Stacy! The scarves are fantastic! How rewarding to see your work multiplied! 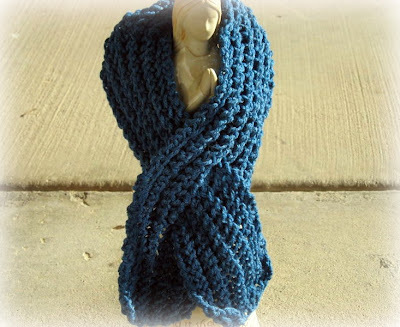 I'm going to check out the Fisherman's Wool - I always love that yarn when I see it at Joanns. Love your mesh scarf. I have just printed your pattern. Thanks!